We know that technical event production can be daunting, that͛s why we are here to help! Whether you are in need of a full event management service, or just need help with the technical side of things, we will ensure that your event captures the creative spark your event deserves. Whether your event is a conference, roadshow, product launch or an awards evening, a big imagination requires a big technical production set up that needs specialist experience to help deliver all the finer details from ambient lighting all the way through to audio and stage design. We will cover all of your audio visual and technical production needs to ensure your event creates the wow factor for your guests. 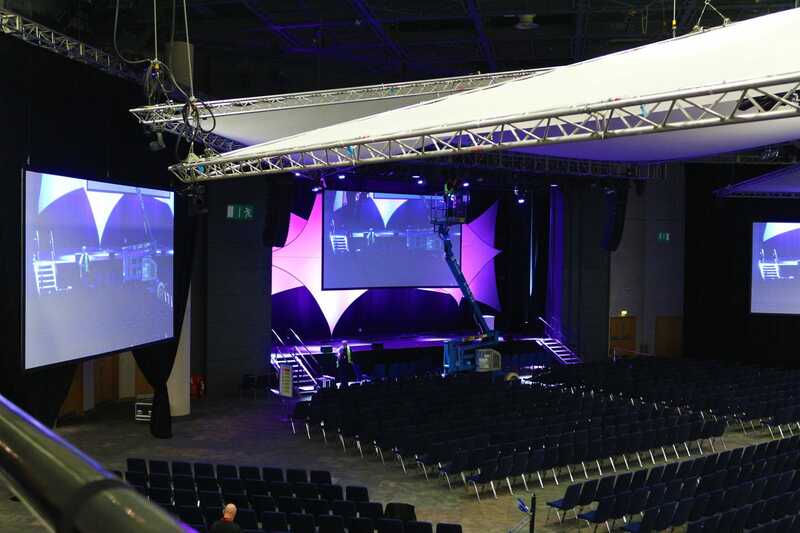 Whether your event is big or small, we can take care of all the technical event production aspects and If required, we can help find a technical event production set up that matches your events budget to ensure costs are kept in line with your events objectives and the brief provided. We are extremely passionate about using the best quality equipment and providing it at the best price possible. If you would like to bring your event to life, have a chat with our team today and discover your event͛s potential through excellent technical production and leave a lasting impression on your guests.